1. 🐅 Tiger Woods wins his first major golf tournament since 2008. The win puts the 43-year-old back on pace to claim his title as the best golfer ever. Nike paid homage to Woods with a timely video they were no doubt sitting on. 2. 🔬 PUMA’s looking to expand its innovation arm with biotechnology to apply microorganism to performance sportswear. “Bioevolution” is applied in fascinating ways including the ability to use microorganisms to change the upper of a shoe in real-time based on ventilation requirements. 3. 🛬 Singapore’s USD 1.3 billion airport expansion combines a botanical garden with a massive mall. Changi airport is considered the best in the world but it’s not slowing down any time soon with the unveiling of the “Jewel” in 2030. 4. 📽️ US Presidential hopeful Andrew Yang unveils plans to use 3D holograms. The leader of “#YangGang is hoping to spread his message, optimize his reach, and double down on his belief in technology to change the US landscape. 5. 🚀 A new study using twin astronaut brothers suggests humans are quite adaptable to long-distance space travel. The brothers Scott and Mark Kelly both exhibited different physiological changes but ultimately the human body has shown its ability to adapt to zero gravity. 6. 🔬 Stone Island presented new fabric innovations through its Prototype Research Series. 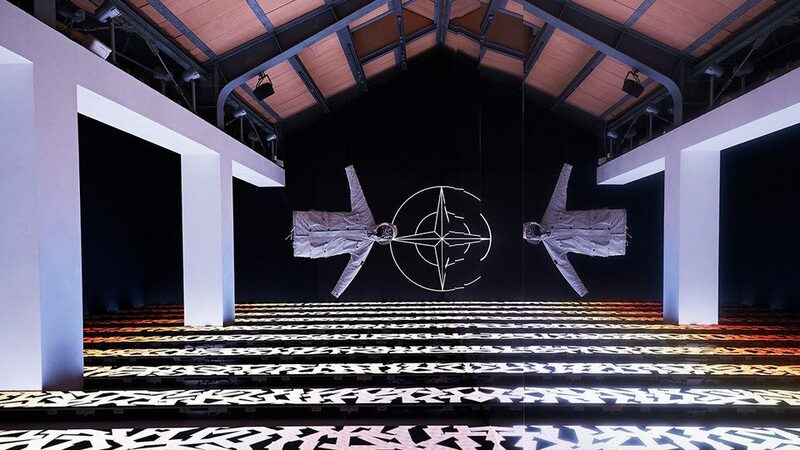 The series featured an installation by Ken-Tonio Yamamoto and Nina Heydorn and featured a unique spray application.